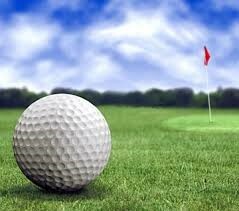 We have sold all of our golf spots for this years event. Thank You! We still are accepting donations for the raffle or corporate sponsorships. Please join us on Friday, May 10th at Blackberry Oaks Golf Course for our 4th annual golf outing! This is sure to be a fun day with friends, while raising money for a great cause! Dinner Only tickets may be purchased for $25 each. Click here to reserve. We will print a custom sign with your logo to be placed on the tee box of a hole. Your name will also be listed on our event flyer and other media outlets. Cost is $100 per hole. Please contact Chris or Ken (below) for more information or to sign up. This event would not be successful without all the prize and gift donations we receive for our raffle. If you company would like to donate please contact Chris or Ken (below). We have several opportunities for corporate sponsors. Please contact Chris or Ken (below).